Over eight-million horses died during the First World War, of which many travelled through Kent on their way to the continent. The Canterbury War Horse represents conflict and the loss of human and animal life without it being over literal, and is presented with dignity, its head bowed in respect and solemnity in this place of quiet contemplation, reflection and remembrance. 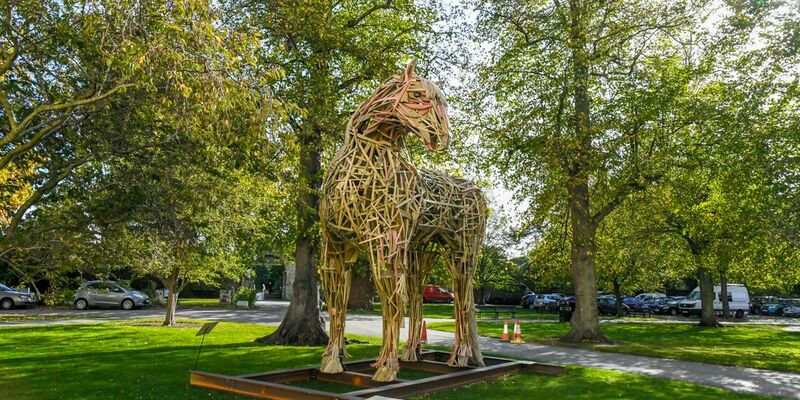 This ambitious project is the result of a partnership between Canterbury School of Visual Arts at Canterbury College and Canterbury Cathedral and collaborative working between students, academics and the technical and engineering departments at the College.